The way home automation has become mainstream is a great indication of how we now live in the future. A future that many of us thought would be further out, a future where we tell robots to do things around our home or ask digital assistants to turn the coffee machine on or make the lights blue. It’s also a future that we take for granted sometimes, usually until we are snapped out of it by a new arrival that changes the way we use existing devices or improve the way we live our lives. We’d put the Ecovacs Deebot 901 firmly into that category, because it’s had a much bigger impact than any vacuum cleaner ever should. That’s right. The Deebot 901 is a robot that’s also a vacuum. Now we know what you’re thinking. Robotic vacuum cleaners are nothing new and the likes of Roomba have been around for what feels like forever, and both of those things are true. But if you’ve ever looked at picking up a Roomba, you will also know that they are far from inexpensive, especially if you want one with all of the bells and whistles. 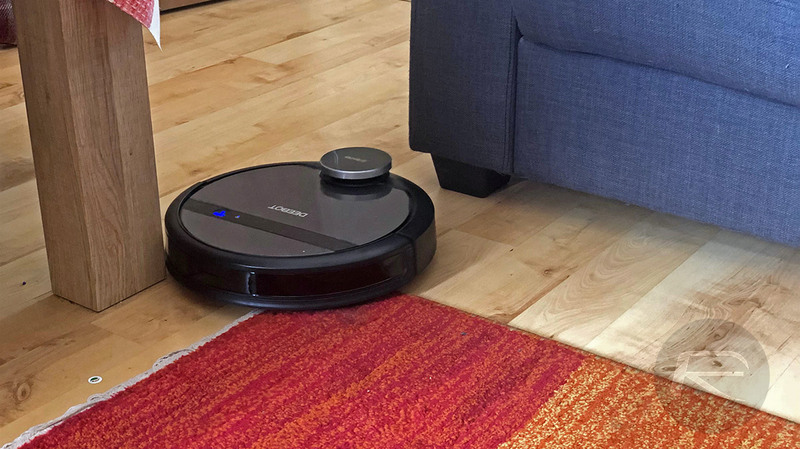 The Deebot costs a fraction of the “good” Roombas and has the smarts to make its relatively diminutive price point seem odd at best and downright madness at worst. We’ve been testing the Ecovacs Deeebot 901 for a couple of weeks now. Priced with an MSRP of $399.99 but often available for quite a bit less, this is a fraction of the price of similarly capable alternatives from the perhaps more established iRobot, otherwise known as Roomba. You’d be forgiven for thinking that the lower price would equate to depleted performance, but that has certainly not been the case in the last two weeks of testing. 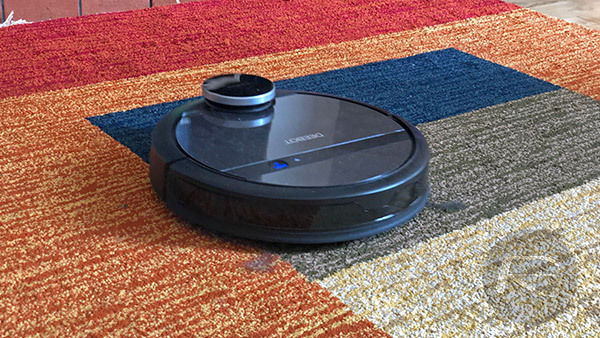 Before we delve into some of the features of the Deebot 901, we should perhaps explain why we find the idea of a robotic vacuum so compelling. Of course, anything this small and with such a small motor is never going to have the same kind of suction capabilities as a Dyson upright vacuum or one of its contemporaries, and that’s fine. What makes robotic vacuums so useful, including the Deebot 901, is their ability to keep rooms at a constantly clean state. Whereas running a “real” vacuum around may mean you pick up more dirt, it also means that you’re not likely to be doing that each and every day, which in turn means there’s more dirt to pick up. With robots, we can have these little wonders running almost constantly or if we’d prefer, just when we’re asleep or when we’re out of the home completely. The fact they clean more regularly means they don’t need to be able to pick up as much dirt because, as should be strikingly obvious at this point, there won’t be as much to pick up. We found that using the Deebot meant that we didn’t need to run our larger hoover at all once an initial clean had taken place. We used the so-called “real” hoover to get rooms into a known-clean state and then let the Deebot 901 do its thing. So far, we’ve not had to get our main vacuum out once since the Deebot 901 took over cleaning duties, and that’s pretty incredible. So why exactly is that, beyond the fact it can run more often? It’s true what Apple says, there really is an app for everything, even your vacuum. Being able to kick a cleaning cycle off from your smartphone, whether that is iOS or Android, is the kind of thing we will never get hold of. Oh, and did we mention the Deebot 901 has Amazon Alexa support? “Alexa, tell Deebot to start cleaning.” Magic! There’s just so little of it. The Deebot 901 has two suction modes, one sucking more than the other. We haven’t had to use the highest suction setting yet, although when we tested it, we did certainly notice the difference in noise. On the lowest setting, though, this thing will be seen but barely heard. We’d have no qualms letting the Deebot 901 run overnight. 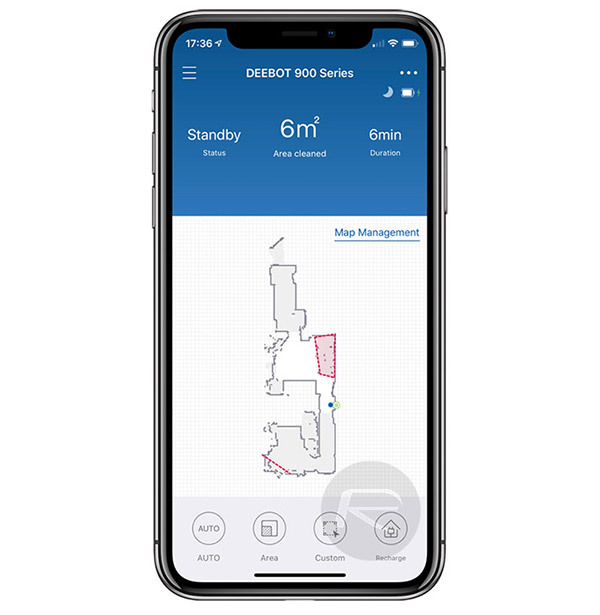 The app lets you see just what the Deebot 901 thinks your home looks like thanks to Smart Navi 3.0, a system that allows the Deebot to use all manner of sensors to be able to map out your home. That all gets translated into the app and a virtual map of your home is created as a result. You’ll be able to see just where your vacuum is and which areas are clean and we cannot stop watching this thing as it works! As a result of that advanced mapping system, the app allows you to set virtual boundaries. These are areas that can be drawn on the in-app map, allowing you to set areas where you absolutely do not want the Deebot 901 to clean. We use this to stop it from getting stuck under our sofa (the vacuum is just low profile enough to get under, but then it struggles to get back out) as well as areas where our kids’ toys are likely to be strewn. You might want to use virtual boundaries to keep the Deebot 901 away from charger cables, for example. Everyone’s seen ET and it seems the folks at Ecovac are no different. As a result, when the Deebot 901 has finished cleaning, it will simply return “home” to its charging station, aligning itself perfectly and getting itself all juiced up and ready to go. No hunting to find the thing in order to charge it! There are more, many more features that the Deebot 901 has that make it a great buy in our book. We haven’t covered the anti-drop system that will allow it to detect if it’s about to fall down some stairs, its high efficiency filter, or its ability to clean hard floors and carpet alike. Be sure to check out the Ecovacs product listing at ecovacs.com for the full rundown! The best thing we can say about the Deebot 901 is that we absolutely cannot imagine not having it around the home anymore. Yes, our old vacuum will stay in a cupboard in case any particularly bad “accidents” happen, but for day-to-day use, the Deebot 901 has everything covered.